The latest addition to Wacom's Cintiq Pro family is a whopper. 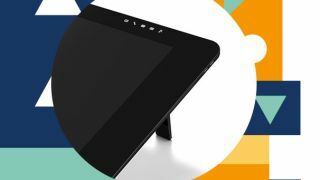 Japanese graphics tablet specialist Wacom has announced that a larger edition to its popular Cintiq family is on the way. The new 24 and 32-inch creative pen displays have been built to meet the demands of professional artists, designers and illustrators, who will now have more room to let their ideas breathe. Announced last week, the new Cintiq Pros join the 13 and 16-inch models in the range. Unlike previous releases, Wacom plans to unveil a series of behind-the-scenes details over the next six months to generate a buzz around the products. Both models pack brilliant 4K displays with a billion colours and maximum colour accuracy. Thanks to edge-to-edge glass screens, creatives have free reign to draw as large as they want. Pro Pen 2 technology accompanies the release to deliver the best drawing experience Wacom is capable of. Slated for release in January 2018, the wait for these tablets might be unbearable for some. If nothing else, the advance notice gives creatives a chance to start saving their pennies. Prices for the new models range from $1,999 to $3,299.